Public Relations in India has experienced phenomenal growth since the 1990s. Over the years, as companies realized the rising importance of communicating efficiently with their target audience and increasing their brand presence, they began to opt for Public Relations to fulfill all their publicity requirements. ‘Public Relations’ refers to the practice of regulating the kind and the level of information shared between individual or businesses and consumers. Through Public Relations, a company is able to elevate its brand presence by informing the public about new launches, latest appointments or anything related to the organisation in the form of news which does not require any direct payment. While at a nascent stage, Public Relations(PR) did not gain much acceptance by companies. But as time passed and competition level rose, they started embracing PR to survive in the Indian market. It was in the 1990s that the PR industry originated in India. The initial years were not easy for the PR industry as there were no thought leaders and experts in the field. Then came the growth period i.e. the 2000s when Burson Marsteller bought Genesis, and MS&L a Publicis company invested in Hanmer and Partners. In the year 2002, companies like Blue Lotus Communications emerged whose focus was on specific areas like healthcare, technology, brands and finance. The end of the decade witnessed the arrival of i9 Communication which showed up as the specialist in consumer communication. Apart from blue chip companies, scores of boutique PR agencies also came up. Post this, the world economic regression brought a storm globally, due to which many international markets crashed. 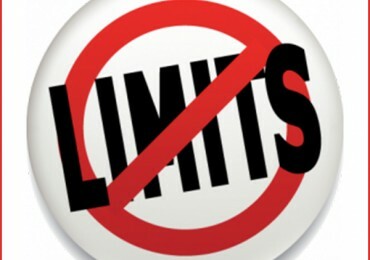 This led to companies withdrawing the money allocated for marketing purposes. PR consultants eventually suffered losses which urged them to move to lucrative and developing markets like India and China. The Indian market was prioritised due to obvious reasons like large number of English speaking people and a stable government. The growth of Public Relations in India has been outstanding till date. In fact even now, ‘Public Relations’ is burgeoning rapidly due to the escalating needs of brand positioning and repositioning by companies. Besides the tremendous growth that the industry is undergoing, it also faces some challenges like lack of skilled professionals, reduced awareness about PR and also difference in perception of people regarding what does a PR firm do. The industry is thriving at a fast rate and to save this growth from getting stagnant, students and professionals need to understand the Public Relations Industry as a whole both in theoretical and practical terms. 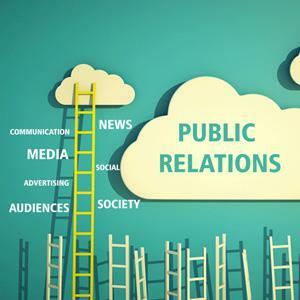 Public Relations (PR) is a dynamic field that provides services like creating strategic plans, devising communication programmes, brand building, organising public and media events, fostering media relations and enhancing the digital presence of organisations. These services engineer the image of companies efficiently by augmenting their brand presence and ensuring top of the mind brand recall. Also it keeps firms abreast of the latest trends in the market which helps them in taking appropriate actions. It develops plans accurately to monitor the way organisations communicate with media and public. Public Relations agencies are the firms that build a company’s or an individual’s goodwill by providing them with various positive and influential media coverage. They promote organisations by creating a genuine and concrete reputation in the market. By researching, evaluating and analysing the carefully-crafted plans of action, they ensure a positive public perception of the company. The agency is responsible for writing and distributing press releases, writing pitch notes, researching about the firm, blogging, making strategies for crisis communication and promoting the company on different social media. The remarkable services provided by a Public Relations agency assists businesses to enhance their brand identity, consolidate their services under one core messaging or pitch every service they are in to differently in the highly competitive market. By making the best use of scores of brand building tools, these agencies increase the media visibility of companies and help them reach their target audience with speed and efficiency. Public Relations today is seen harnessing every aspect of communication from the mobile device we use, to digital media and blogs to reach out to the correct target audience. This includes strategically mapping people around you who represent an ‘influencer community’ to make a personal impact when communicating their messaging. In short, PR is a constantly developing field where innovation and ideas go hand in hand to create effective communication and build a credible perception of a company and its worth.